Bringing Education to the Masses on "Black Gold"
As a begginer to Vermiculture I have immersed myself into many books, read many articles, and researched all the college manuals on the subject that I could find. After building my first wooden (1X2X3) box to contain my worms and the bedding to begin my vermicomposting I was suddenly struck with a fear that do I have enough intellect on the subject to be successful? Well in short, after 2 months of caring and worrying about my pound of red wigglers, I really see success in the box. I have tried to cover all bases of the care of my worms and to my surprise the unwariness of my worries in the care of my small working crew were just that - un-needed worrying. The worms adapted themselves to the box, the food, and my 3 yr old grand-daughter who considers herself a "Guardian" of the worms. I already have the next bin built to allow the expansion of my crew and looking to create a following in the vermicompost usage for gardeners. The biggest obstacle that I see is that their is very little knowledge in the use of Worm Poop or the advantages of Worm Poop for gardens. 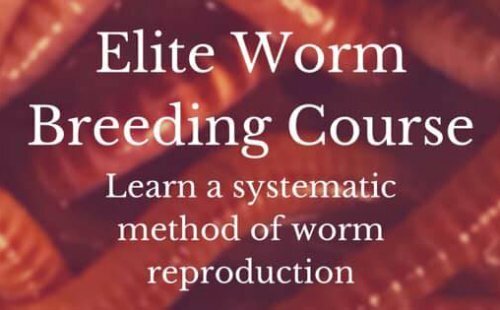 I know as a person who has researched worms that we need to bring the knowledge to the Gardeners so they can make better decisions in their garden. These decisions would benefit the gardener with immediate benefits to their produce while providing essential nutrients to the soil. I will begin this journey by creating a short 30 minute lecture that encompasses worms and their benefits to the gardener/soil. I will also reach out to schools, weekend garden warriors, and public events (harvest festival, strawberry festival, etc.) to enhance the knowledge of locals in which they passs their knowledge to others. I think that if the masses begin to learn all of the benefits of worm poop to their production and to their soil that worm poop will become the next "Black Gold"
Comments for Bringing Education to the Masses on "Black Gold"
Your enthusiasm is exactly what we need to help "Spread The Fertile Truth"
Worm farming changed my life years ago and when I saw the effects it had on my plants and garden and less money spent on chemical fertilizers I was blown away. We need more people like you to encourage, educate others and promote healthier and cost effective ways of growing your own "Black Gold". Thank you for your post and letting others know that it really is not complicated. The worms do all the work.